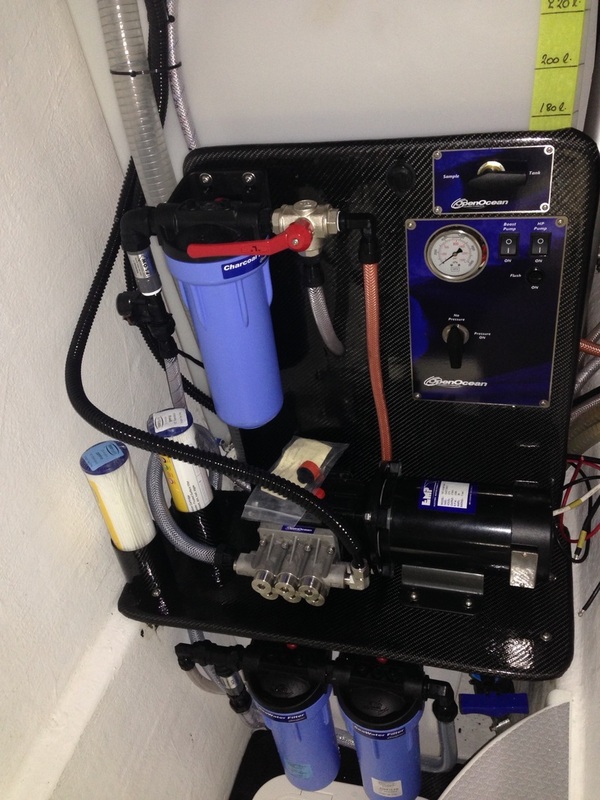 This Electric 12 DC model produces 70 liters per hour. It is a good option where your on board DC power supply is reinforced by a good sized solar array. 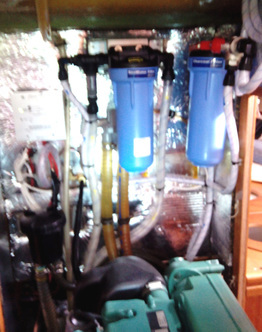 Run your water maker off your solar panels, wind generator or engine alternator. If you have a generator fitted, you can also run the system with battery charger power. 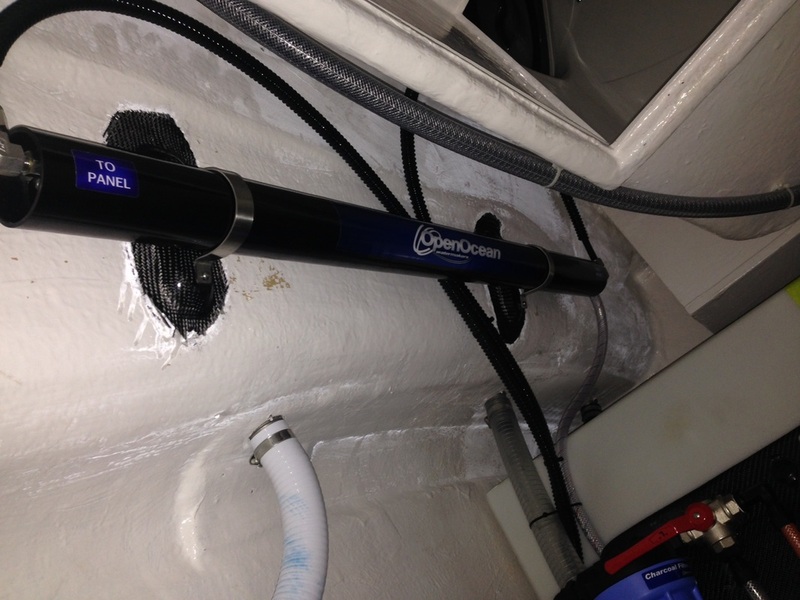 With a 68 amp draw, this system is well suited for boats equipped with 1000 Watts or more of solar. The faster water production replaces the water you use with less run time. Make water with renewable energy, or power from your alternator. These systems are straight-forward to install. 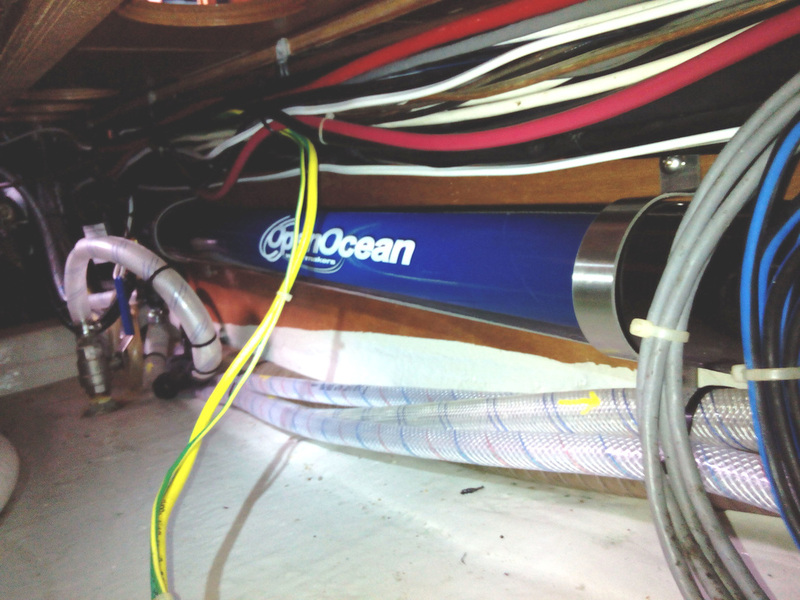 If you can feed a decent amount of power into your batteries, this system can turn it into fresh water. 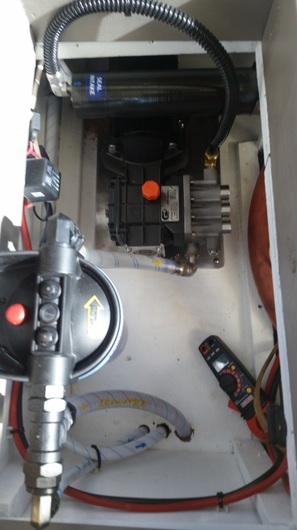 This system meets the needs of those boats that have invested in solar as their primary energy source, especially catamarans that have a lot of suitable surface area for fitting solar. 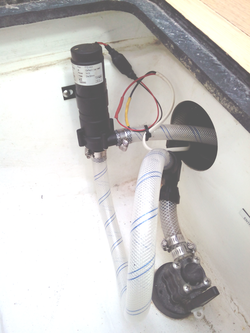 This system has also proven popular with boats that use their alternator as their primary source of electricity. 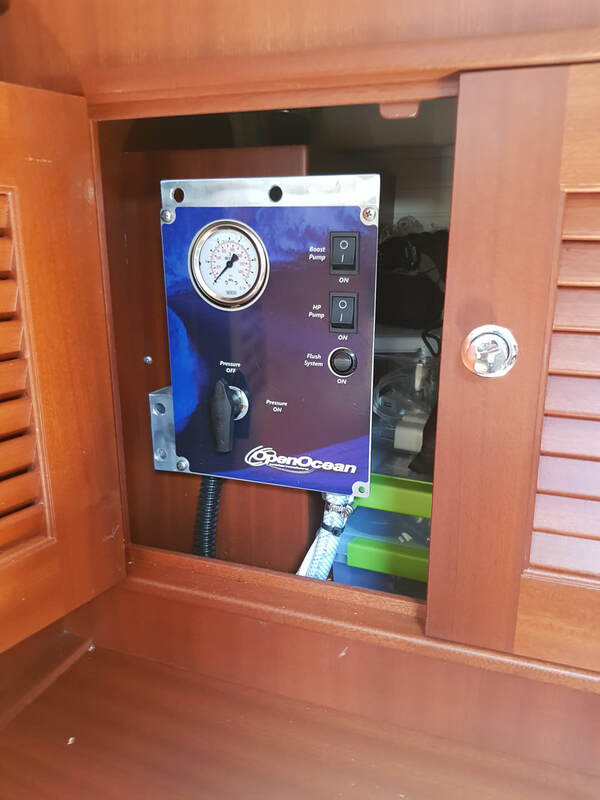 The ability to make water while motoring as well as when the engine is running for battery charging, or for charging engine driven refrigeration, has proven to be a good fit for many boats. Control Panel fitted in locker behind Settee. Easy to access, but out of the way.